The 2016 Honda Fit simply provides Goshen and Monroe drivers with more than the 2015 Nissan Versa Note. Whether that’s more power, more miles per gallon, more standard features, or more safety protection, the Honda Fit remains a top choice for consumers. LX: The entry-level LX demonstrates that even standard models can boast outstanding technology. You’ll benefit from a multi-angle rearview camera with guidelines, a second-row Magic Seat, and a Bluetooth HandsFreeLink system with audio streaming. EX: The EX upgrades every aspect of your drive. A Honda LaneWatch system improves visibility, the 7-inch audio touchscreen allows for effortless control over infotainment, a SMS texting function keeps you connected, and a one-touch power moonroof opens your drive up to the great outdoors. EX-L: The EX-L includes everything you’d expect and demand from an upper level trim, including the executive atmosphere and flawless comfort delivered by a leather-trimmed interior, alongside heated seats and a leather-wrapped steering wheel and shift knob. The 2015 Nissan Versa Note comes with five models to select from, but features can’t measure up to the Fit. 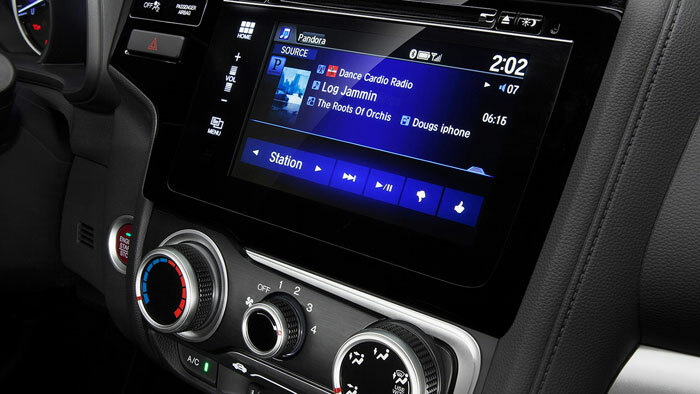 The entry-level S model comes equipped with air conditioning and an AM/FM/CD audio system, while the premium SL includes leather seats and the NissanConnect navigation system. 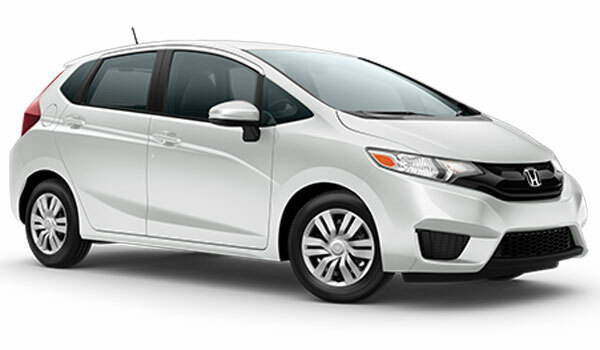 Both the 2016 Honda Fit and the 2015 Nissan Versa Note offer one engine across all trim levels, with a choice of either continuously variable transmission or a manual 6-speed setup with the Fit and 5-speed manual for the Versa Note. 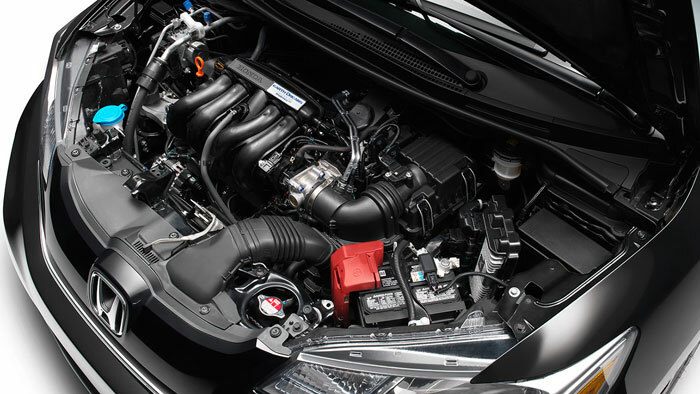 However, the Fit comes out on top when it comes to both efficiency and power.The in-line 4-cylinder for the Fit produces 130 hp and 114 lb-ft of torque for a fun, punchy drive, while Nissan’s 1.6L DOHC engine makes 109 hp and 107 lb-ft of torque. It’s not a large difference, but a notable one, especially when you consider that fuel efficiency is superior with the Fit. A Fit LX equipped with a manual transmission returns 29 mpg in the city and 37 on the highway,* whereas the Versa Note’s manages 27 city mpg and 26 highway mpg. The CVT allows the 2016 Fit LX to achieve 33 mpg city and 41 mpg highway, while the Versa Note manages 31 mpg city and 40 mpg highway with a CVT. Utility Mode: Fold down the entire second row to find space for anything up to a small couch. Long Mode: Fold the Fit’s passenger-side rear and front seats, and you can slide in much longer items than subcompacts traditionally accommodate. Tall Mode: Need something large to stand up in the rear? Just fold the Magic Seat for close up to 4 feet of vertical space. Refresh Mode: If moving those items tires you out, just remove the headrests and fold back the rear seats, then recline along the whole length of the car. 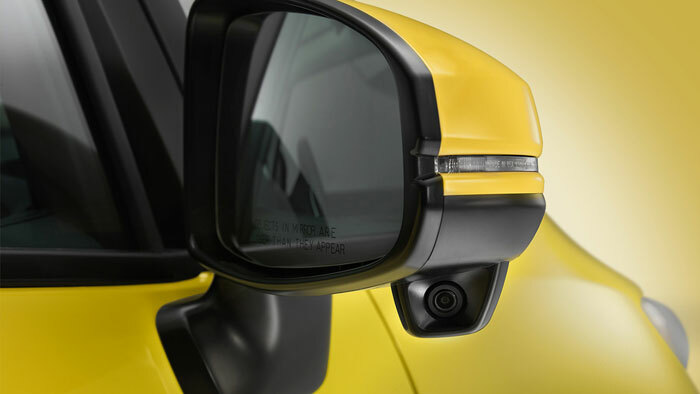 Rearview Camera: View the area behind you in real-time for confident reversing in tight or busy environments. Cruise Control: When you’re cruising on the highway, you’ll appreciate that a steady speed can be provided in even standard Honda Fits. Remote Keyless Access System: Just a touch of the keyfob and your Honda Fit will open. The 2016 Honda Fit scored a total 5-star rating during crash tests conducted by the NHSTA, including a 5-star rating during the frontal crash simulation. 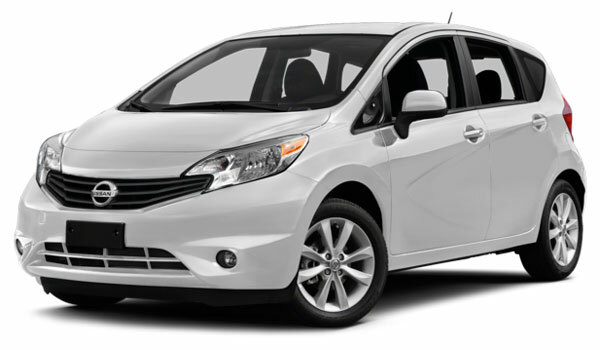 In contrast, the 2015 Nissan Versa Note was awarded only 4-stars overall, with just a 3-star rating during the frontal crash trial.This is largely down to Honda’s exclusive Advanced Compatibility Engineering (ACE) body structure system, which channels as much impact energy away from occupants as possible in the unlikely event of a collision. 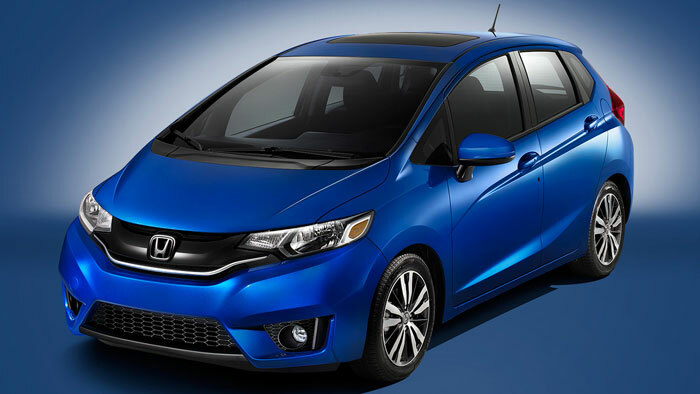 The 2016 Honda Fit is one of the most advanced subcompacts on the market. To understand how practical and fun they are to drive, visit Middletown Honda today.